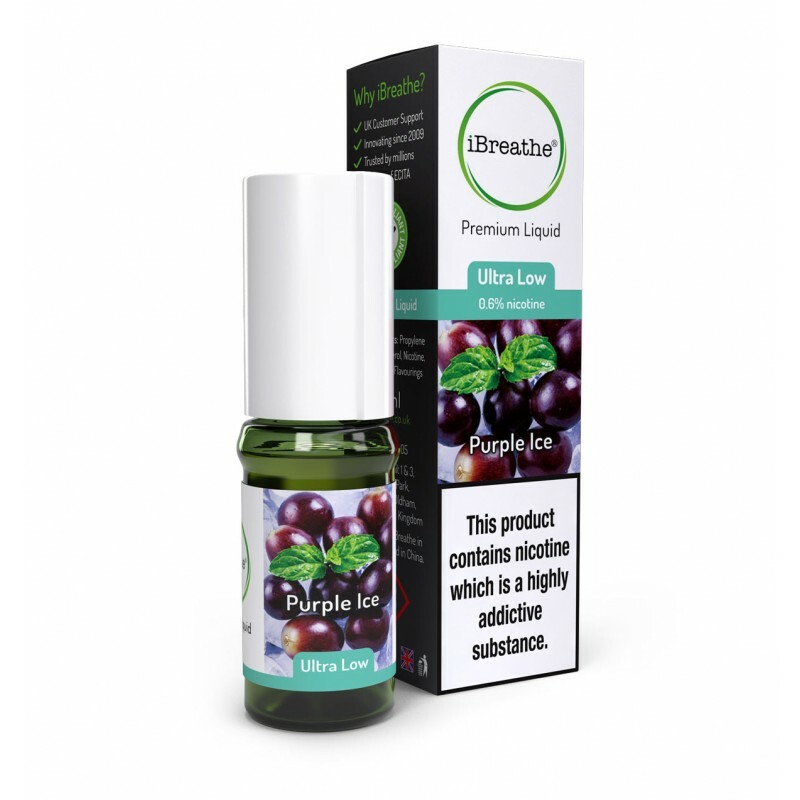 Our Purple Ice Premium e-liquid is just what you might imagine – rich, smooth and luxurious grape, with a minty cool tingle of a finish. This is an excellent evening vape, and truly smells amazing. Purple Ice relies on the ‘classic’ 70PG / 30VG ratio to deliver a pleasant smoking sensation without excessive vapour production, and is as easy to inhale as you could ask.